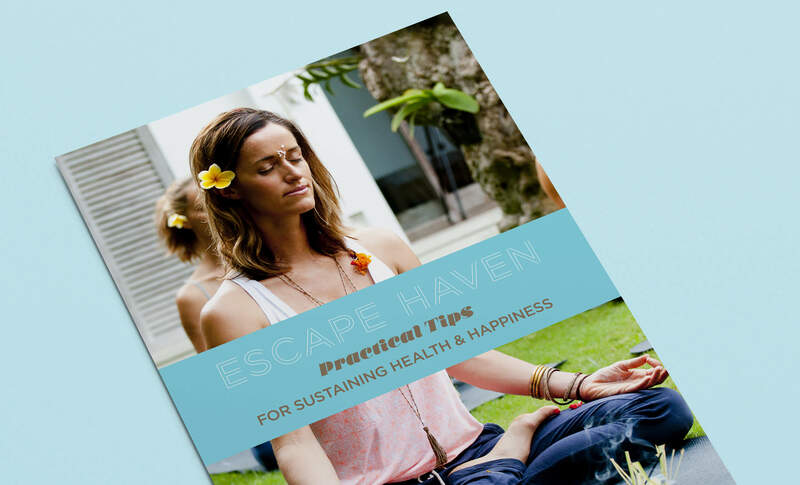 Escape Haven offers luxury yoga, surf & spa retreats around the world, just for women. 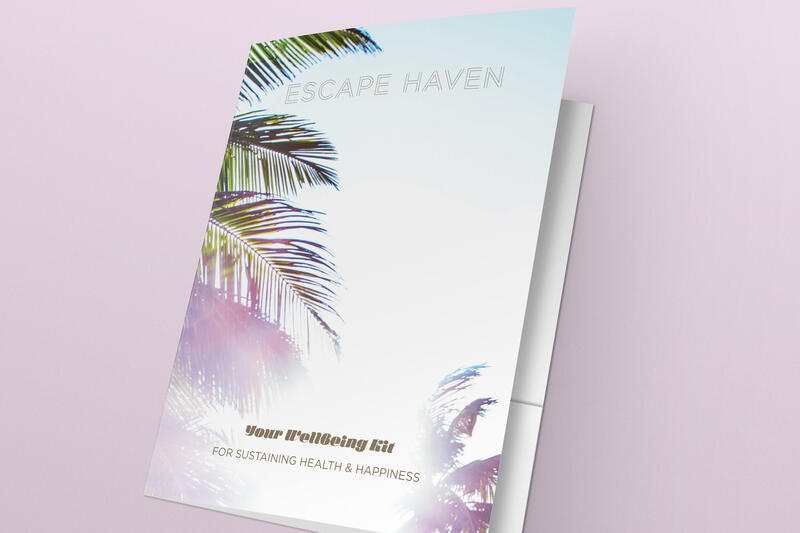 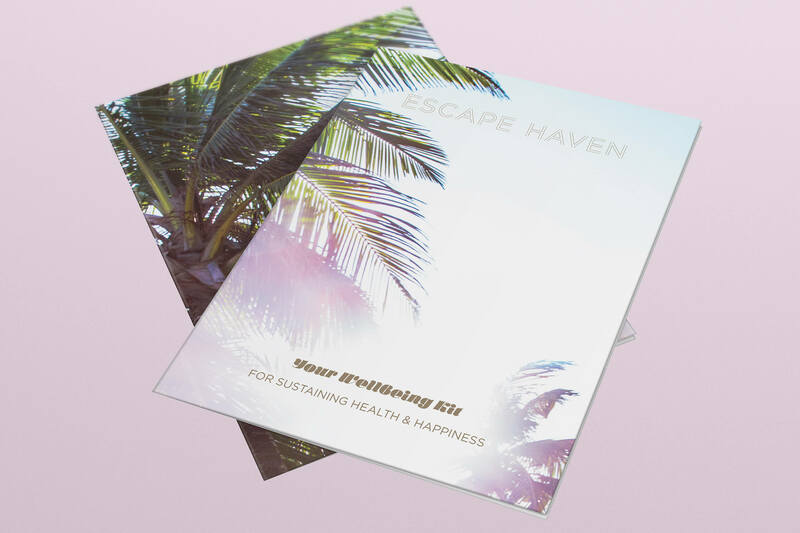 As part of their surf, spa, yoga, fitness and wellness packages, Escape Haven wanted to create a pack that guests could take away with them when their retreat had finished. 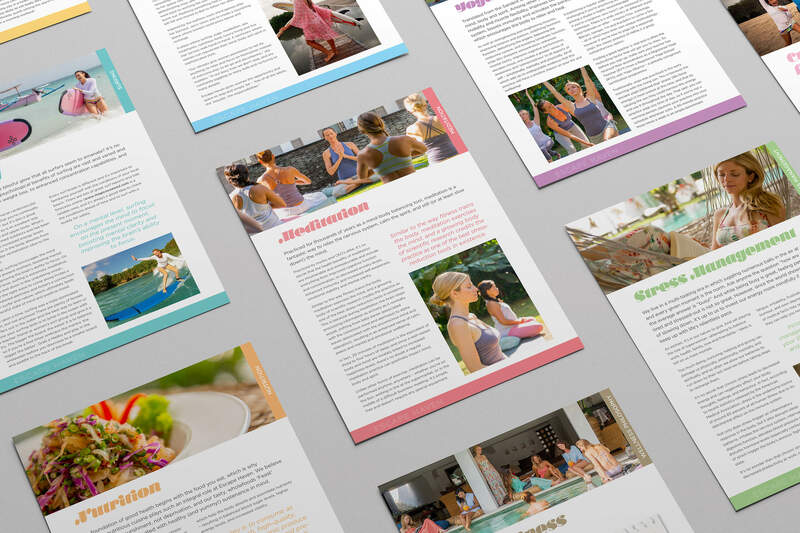 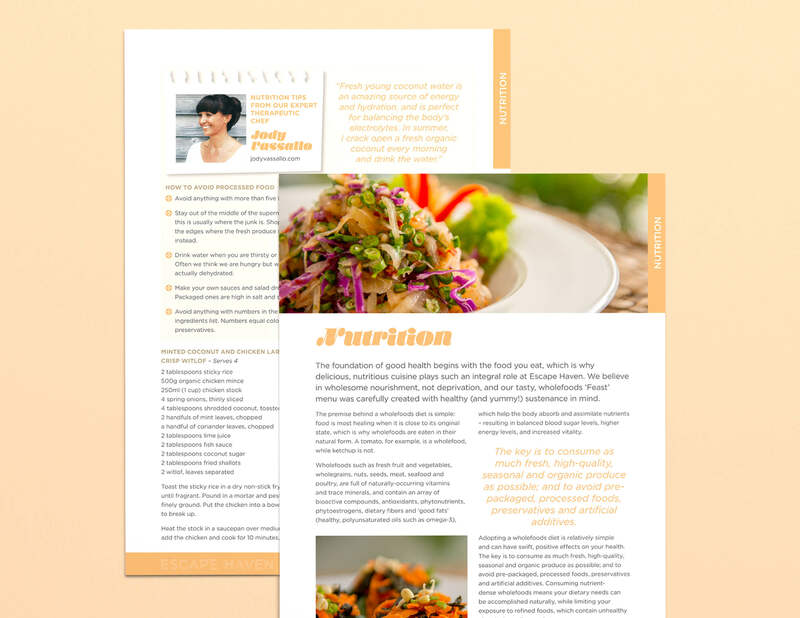 Within the folder are double sided information sheets specifically tailored to their chosen retreat package – including tips and advice for home practice. 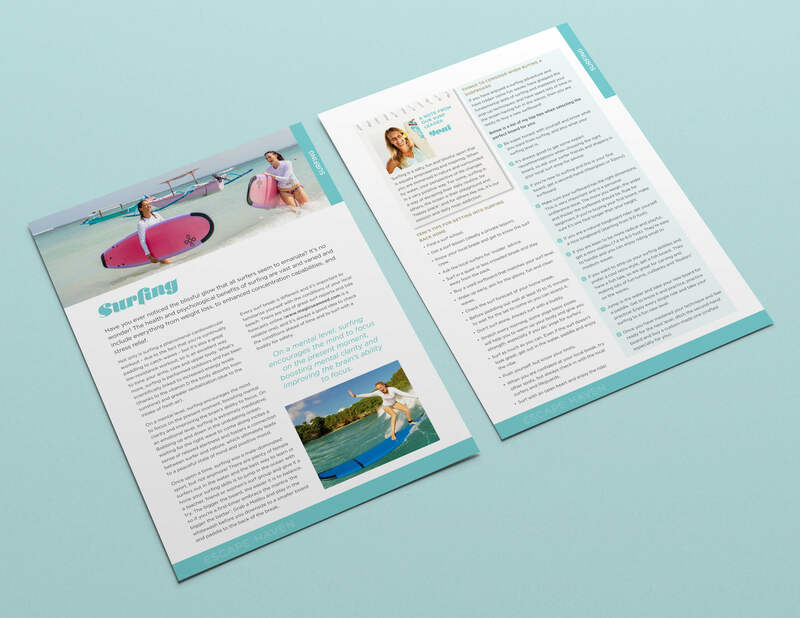 My approach was to keep the design fresh, engaging and feminine, using a colour coded system to easily identify the different areas.